It’s a question that sounds almost bizarre to modern ears. Sitting near Jesus was a man who had been born blind, and someone posed to Jesus what seemed a rather innocent query. “Who had sinned, the man or his parents?” “Neither,” was all Jesus had to say about it, and that was that. It’s hard to imagine a modern equivalent to that scene; but if it had to be, I would conjure up the image of a doctor who pauses in the middle of the examination of a child who is seriously ill. “Is there a history of mortal sin in this child’s family?” I leave it to the reader to come up with a suitable response. 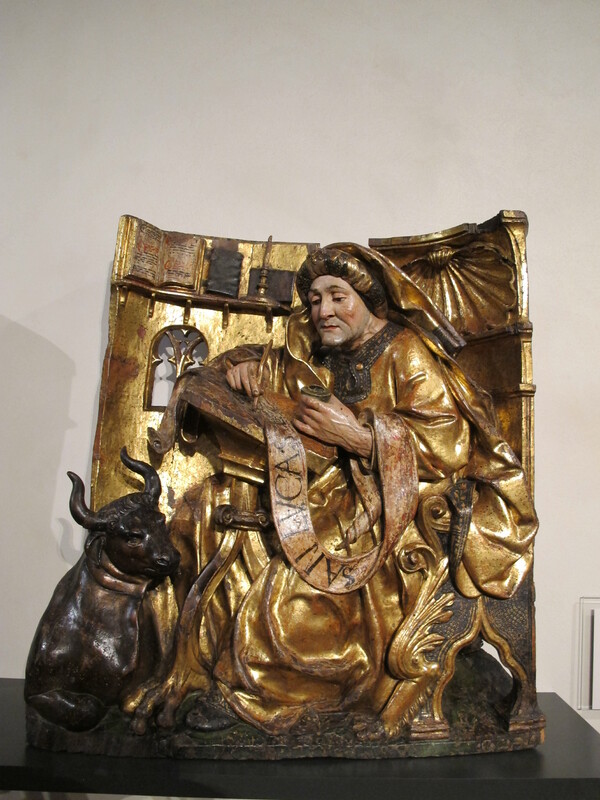 John chapter 5 is the gospel reading for the 4th Sunday of Lent. It’s a long passage, filled with all sorts of diversions, and it’s clear that John is trying to kill several birds with one stone. He begins with the potential link between sin and illness, and we have to assume there were still people around who believed in a direct connection between moral culpability and disease. To our scientific mind-set such causality seems absurd, but on another plane we still deal with the question, but from the other side of the coin. When the ancients noticed that bad things happened to good people, they simply revised their estimate about the relative goodness of the person involved. All evil had to have a cause, and people must somehow deserve what the cosmos sends their way. Even today we struggle with the very same issue of the suffering of the innocent. Like the ancients, we’ve come up with no satisfying answer, but at least we don’t lay the blame for disease on moral turpitude. Anyway, Jesus brushed off the issue of sin and disease, but many among his listeners proved unable to give it a rest. Like a dog with a bone, they finally branded the formerly blind man a sinner, and for good measure they labeled Jesus a sinner too, because he had cured on the sabbath. That set things up for a wonderful conclusion to the story. There’s some terrific irony here, which John picks up on and exploits to the fullest. The episode had opened with a man who had been born blind. He’d never seen a thing in his life, and it was even a while before he finally got to see Jesus, who had cured him. But finally he saw Jesus standing before him. But by then he saw him not only physically but also spiritually. There stood the man who had counted him among the saved, despite being a sinner. By contrast, the audience of religious professionals had eyes that let them see physically, but spiritually they had become blind. On an allegorical level the scene has been upended by this turn of events. The blind man sees and the sighted people are blind, and this recalls the words of Jesus elsewhere in the Gospels. “They have eyes but cannot see, and ears but cannot hear” — all this despite the fact that they were experts in the scriptures and the law. Clearly they had missed something along the way. I’m not entirely sure how this might apply to each one of us today, but there is a take-home that can be of some benefit. At the very least, we should not aspire to be people with eyes that cannot see and ears that cannot hear. We need to be open as best we can to the reality around us. That means, first of all, that we admit our solidarity with both the blind man and the scribes and Pharisees. We are all sinners, no matter what excuses we make for ourselves. Certainly each of us has gifts and talents, and there are moments when we use them well. But at times we also fail, and it’s not healthy to deny it. The admission of our failings means that Jesus comes for us too, and not just for everybody else. It’s equally important that we avoid becoming people who have eyes but cannot see. Sadly, on a moral level we are often the last to know that a little blindness clouds our vision now and again. And so the need is acute that we compensate for this through regular prayer, sacred reading and service to the people around us. All of these activities draw us into communion with our brothers and sisters in the Church and remind us that together we are pilgrims on the way to the Lord. As pilgrims then, it’s always good to rely on the eyes and ears of our neighbor to supplement our sometimes faulty vision. This is the point of Christian life, and it’s the message of Lent in particular. We don’t pray and read in order to ingest material that will bolster our preconceived notions. We pray and read and serve regularly so that we can listen to what the Lord has to say to us each day. And having listened to the will of the Lord, we then set out with confidence to do his work. +The last week was very quiet for me, and I left the campus only twice. One of those excursions was a visit to the doctor to find out the results of my recent MRI. I read the report but could make neither heads nor tails of it. The good news is that I do not need surgery this time around. The bad news is that someday I will. The challenge is to put as much distance between today and that day as I can. Meanwhile the pain in my back has gone way down. I’m also hoping that this is the last medical report I will give for a good long while. During a visit with some friends this week someone noted that during the first twenty minutes the conversation turned on our respective medical conditions. We all laughed, and then we changed the subject. +This week Fr. Benedict Fischer of Assumption Abbey in North Dakota arrived, and he will stay with us for nearly three weeks, doing research on his doctoral dissertation. A few years ago he lived with us for four years while he studied for the priesthood in our School of Theology and Seminary, and it is great to have him back. He is doing his degree at Louvain in Belgium. +This last weekend the Abbey Guesthouse hosted a three-day Lenten retreat, given by our confrere Fr. Joseph. It was a wonderful group that included friends of the abbey and alumni of the University, some of whom I knew. Their presence swelled the attendance at the liturgy of the hours. 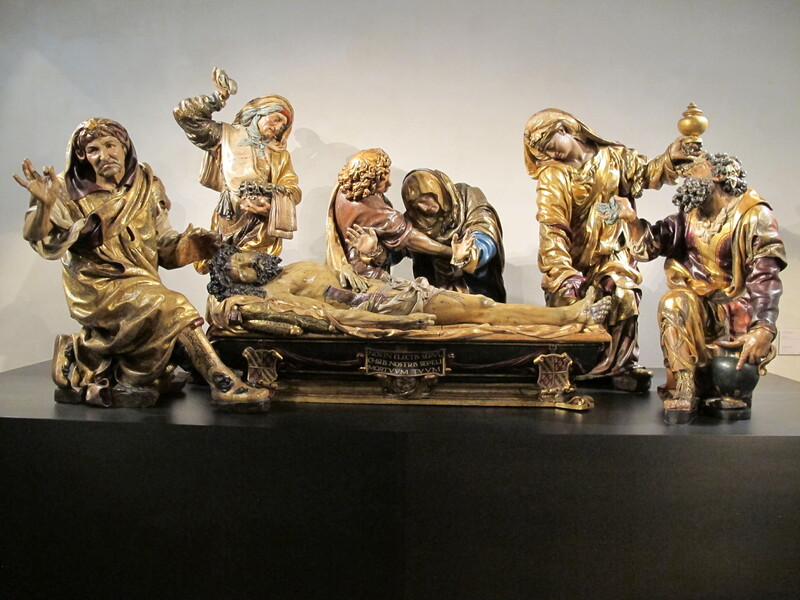 +The photos in today’s post show sculpture housed at the Museo Nacional de Escultura, in Valladolid. 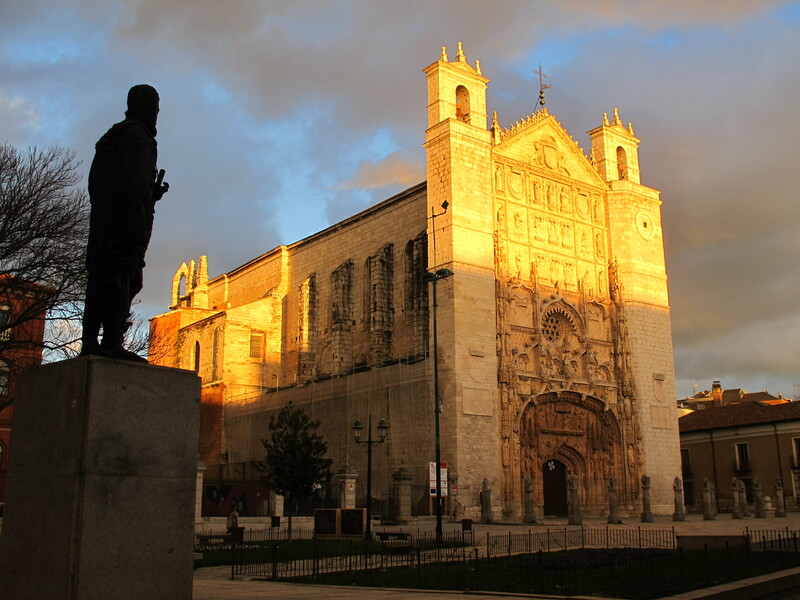 Most pieces in this amazing museum are from religious houses in the area of Valladolid, and the museum itself is the former Colegio de San Gregorio. 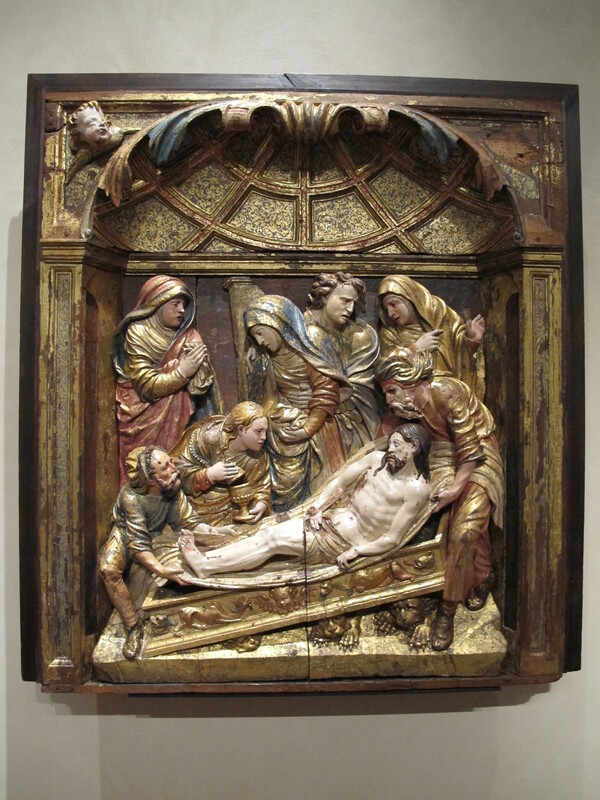 At top is The Burial of Christ, by Juan de Juni, ca. 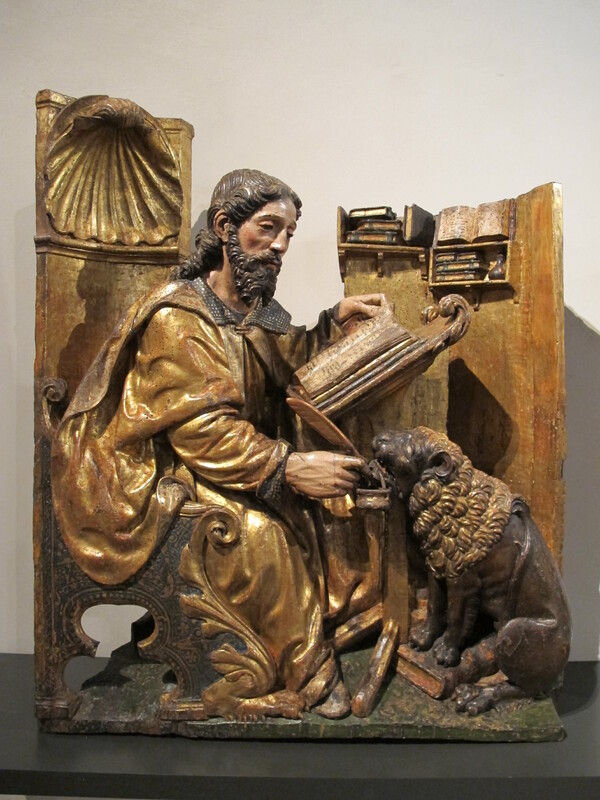 1540, polychrome wood. 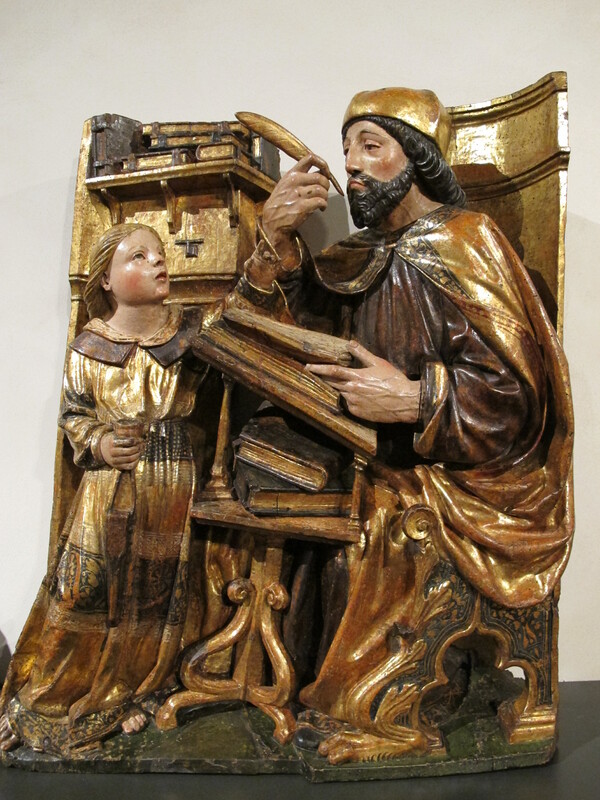 Next is a tabernacle from León, ca. 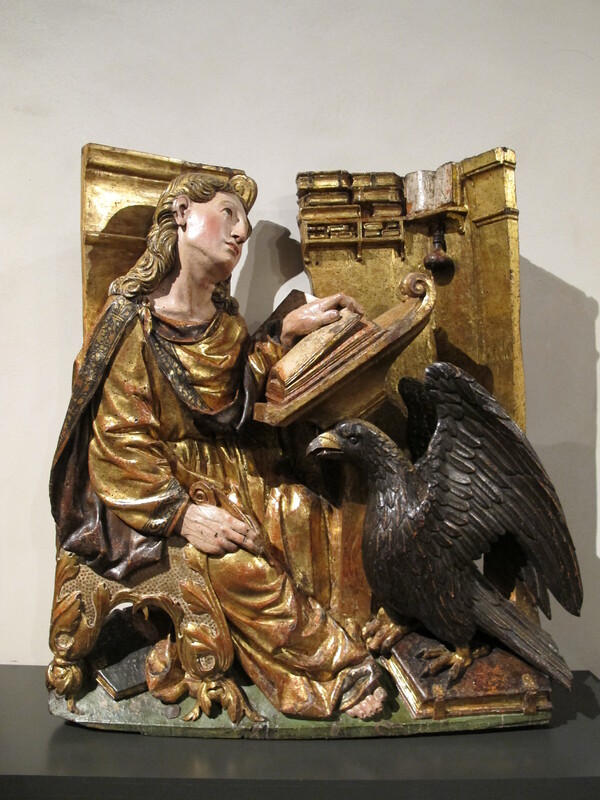 1575, polychrome wood. The following two panels are by Pierre Picard, ca. 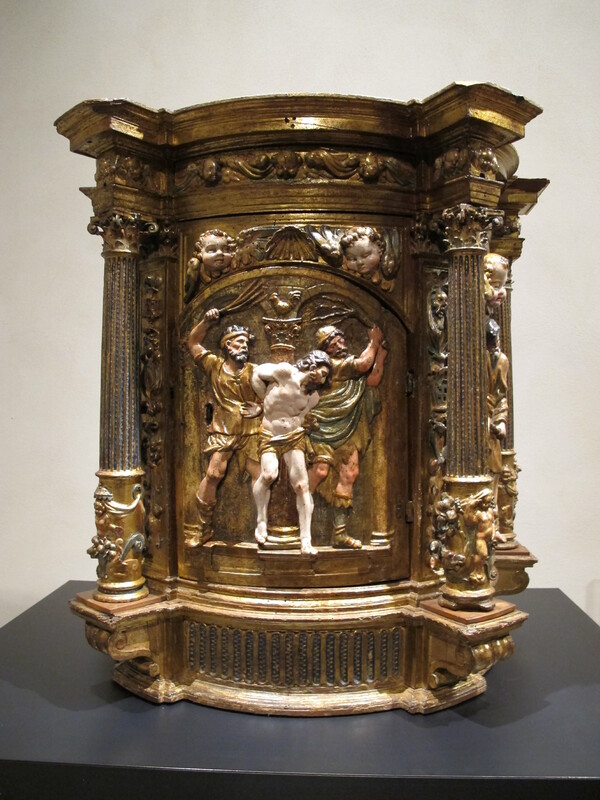 1560, polychrome wood. 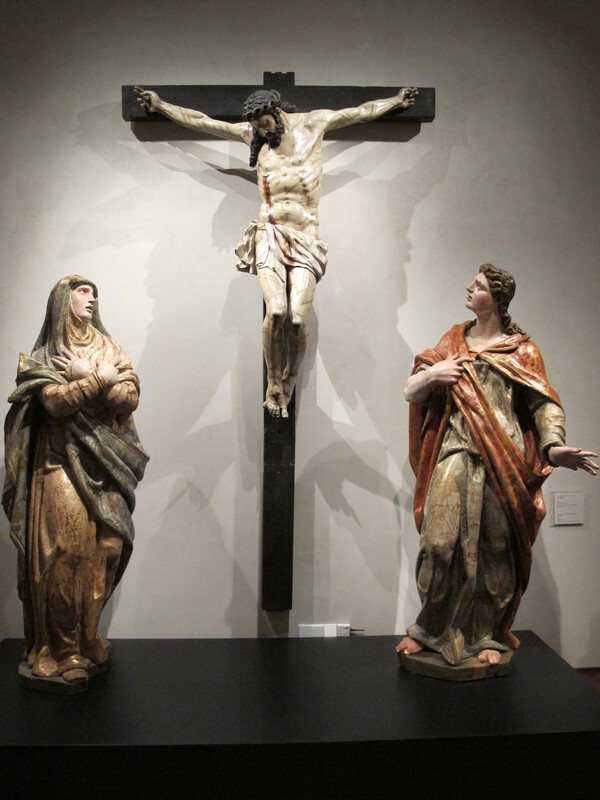 The last piece is a Calvary by Pompeo Leoni, ca. 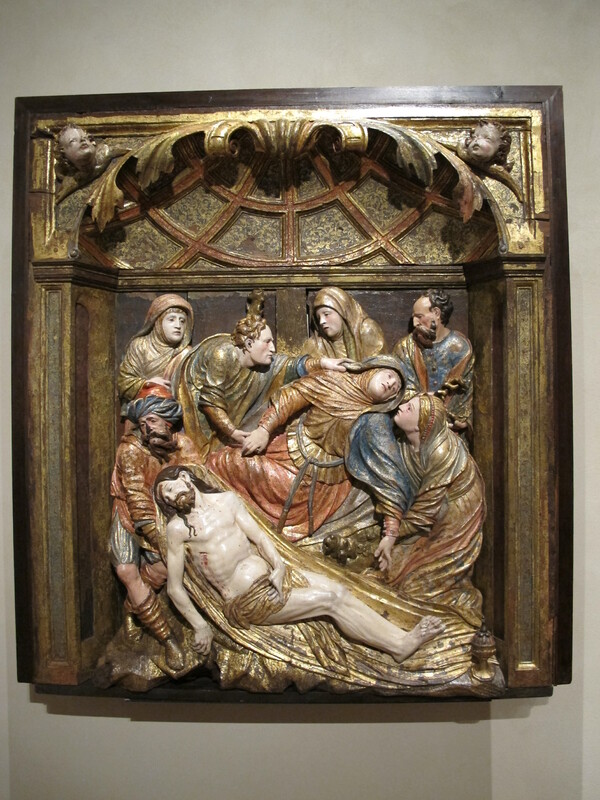 1605, polychrome wood. 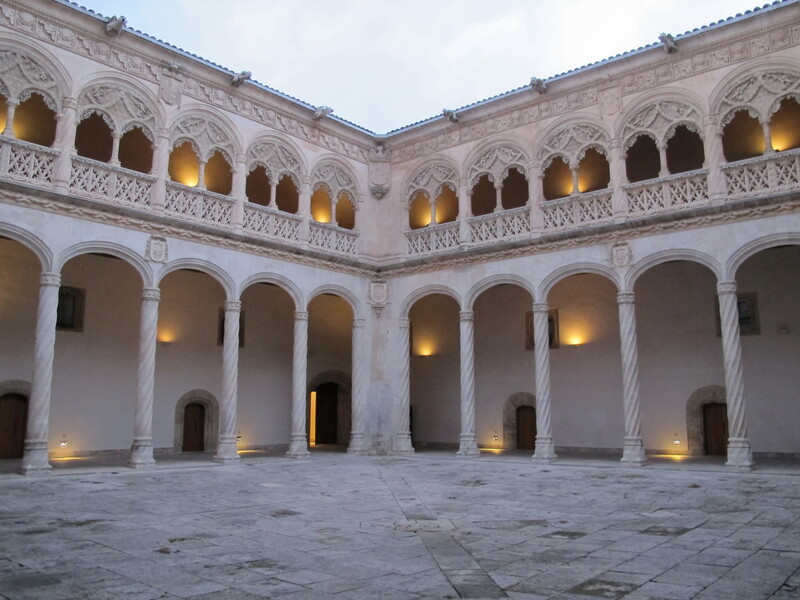 At bottom is the courtyard of the Museum.